Total motor magic: our all-time king of car toys. 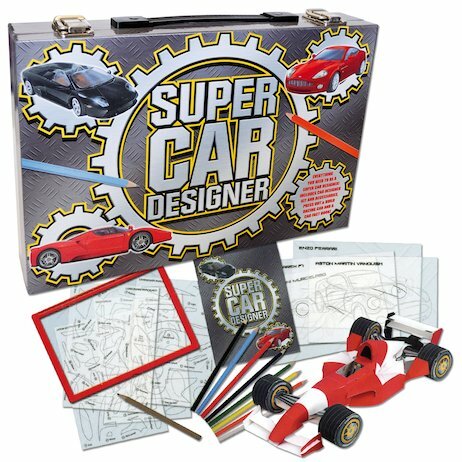 Create your ultimate dream cars with this dream design box. More cool car-drawing tools than we’ve ever seen in one place. Quality acetate templates, vinyl stickers, colouring pencils, a design manual. There’s even a press-out racing car to make. Now you can sketch the supercars of the future: radical, unique motors that leave all the others in the dust.